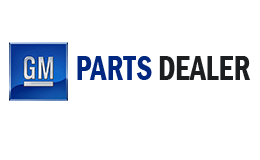 We make it our priority to provide Chevrolet owners across the US with the lowest prices on the OEM Chevrolet replacement parts they need to keep their vehicles running at peak performance. Our goal is to ensure that you Chevrolet Corvette parts order is delivered accurately and quickly to your exact location. By providing us with your VIN at checkout, you can help us verify that we are providing you with the correct Chevrolet replacement parts, straight form the manufacturer.